Dr.Robert J Leon graduated with High Honors from Rutgers University earning a B.S. Degree in Biology in 1985.He completed the University’s Honors Program and was designated a Rutgers Scholar. He was elected to the University's Beta Beta Beta Biological Honor Society and Phi Beta Kappa Chapter in the same year. He attended medical school at the State University of New York at Buffalo , where he received his M.D. in 1990. As a medical student he was the recipient of the Bernard Smith Memorial Award in Clinical Neurology. Dr.Leon then went on to the University of Pittsburgh Medical Center for his Internship and Residency in Internal Medicine from 1990 to 1993. He was actively involved in the treatment of severe congestive heart failure and cardiac transplantation. 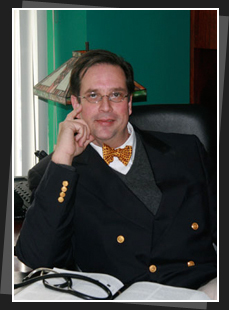 He was Board Certified in Internal Medicine in 1993 and re-certified in 2003 by the American Board of Internal Medicine. His Cardiology training was performed at the University of Rochester Medical Center /Strong Memorial Hospital in Rochester, New York from 1993 to 1996. He spent the three year fellowship in the specialized area of cardiovascular medicine. In his second year he performed clinical research in nuclear cardiology and echocardiography. He has lectured extensively and presented papers both nationally and internationally including the International Conference of Nuclear Cardiology in Cannes, France 1995 and Tel Aviv, Israel 1996. In 1996 he became an Attending Physician and Clinical Instructor in Cardiology and Internal Medicine at Montefiore Hospital / The Albert Einstein College of Medicine in New York City. There he was active in the teaching of medical students, residents and cardiovascular fellows. In 1997 he was Board Certified in Cardiovascular Diseases by the American Board of Internal Medicine , he was re-certified in 2007. In 1998 he was elected as a Fellow to the American College of Cardiology. In 1998 he opened his private office in Cardiovascular Diseases in Hoboken, New Jersey where currently practices. He is an Attending Physician and Consultant in Cardiology at Hackensack University Medical Center ranked #1 for overall cardiac services in New Jersey and one of America’s 50 Best Hospitals. He is also an Attending Physician and Consultant in Cardiology at Hoboken University Medical Center.